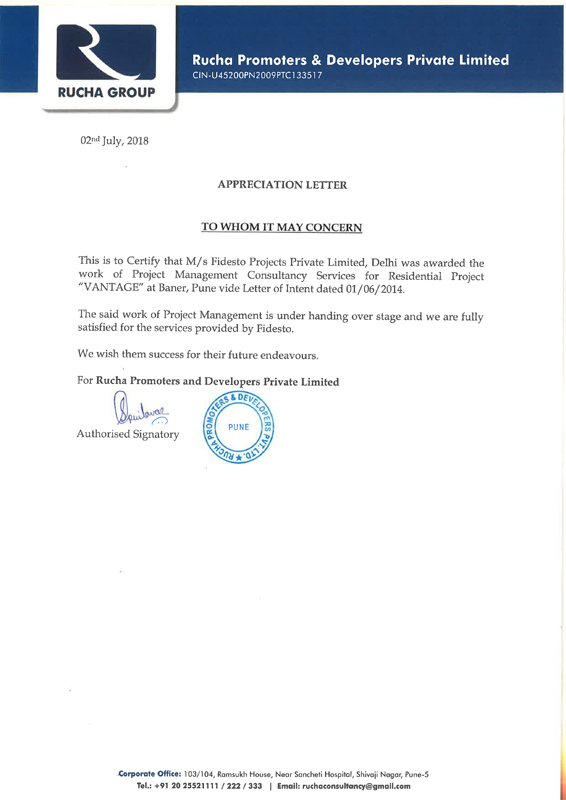 360o Approach towards Project Management for Project Implementation. 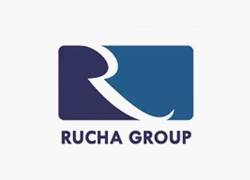 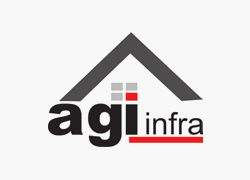 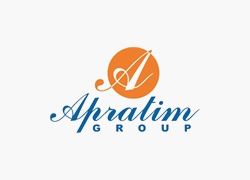 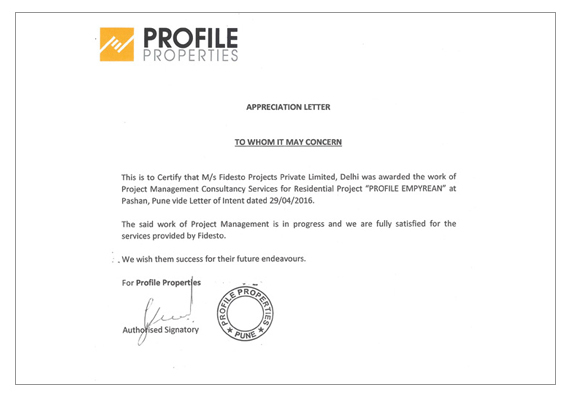 To provide Professional, Dedicated & Value based Project Management Services to our Esteemed Clients. 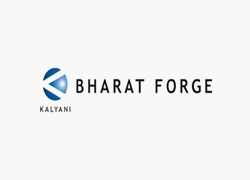 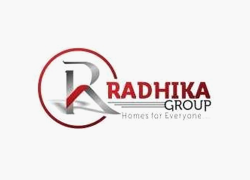 Services with Honesty, Humble, Proactive & Positive approach. 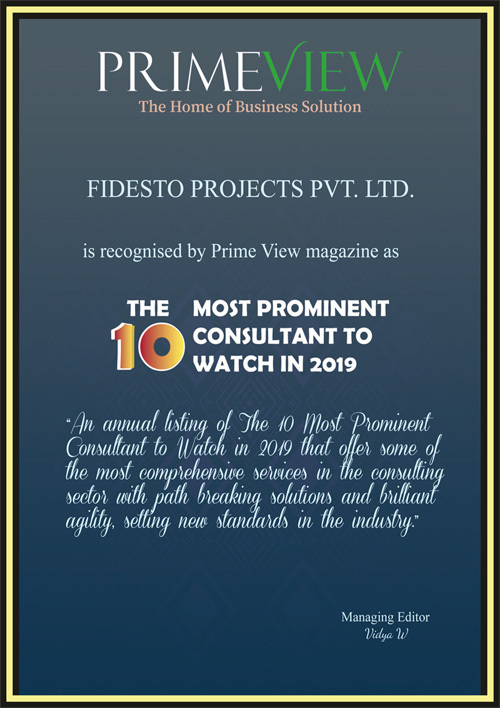 Fidesto take up the full Execution of Structure, Infrastructure..
Fidesto offers the Quality Monitoring and Safety Audit Services. 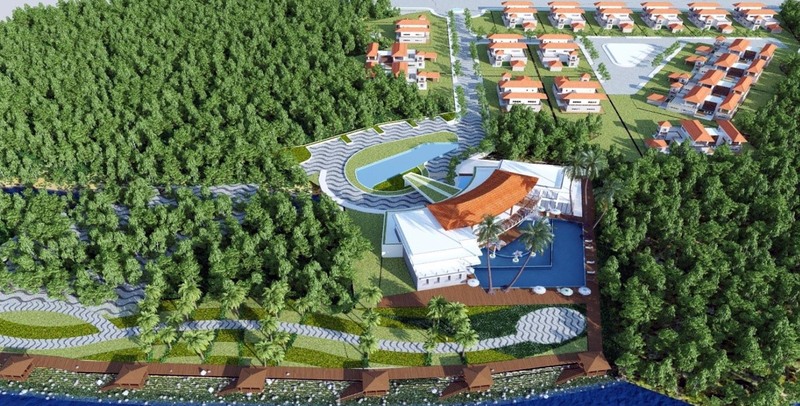 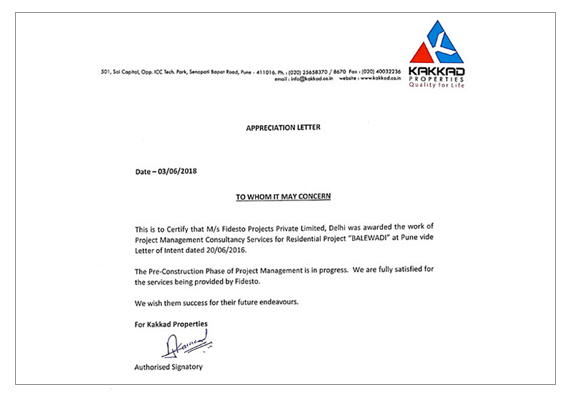 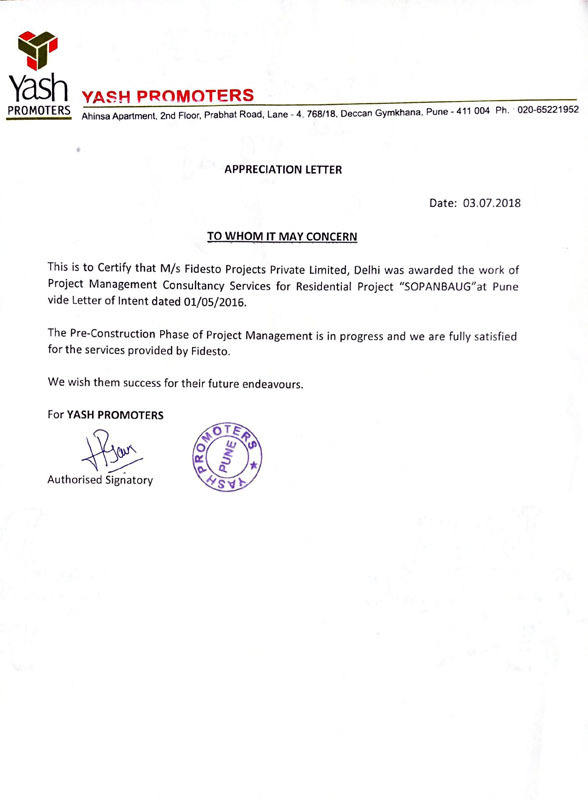 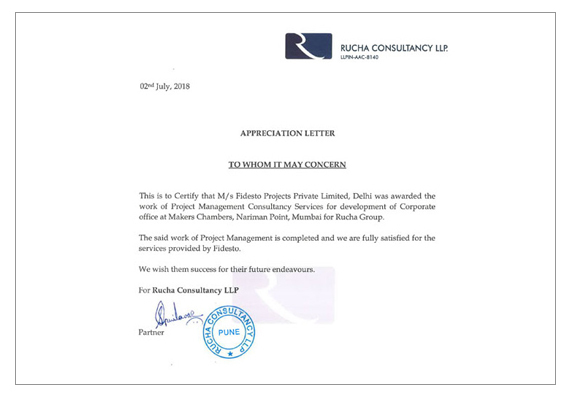 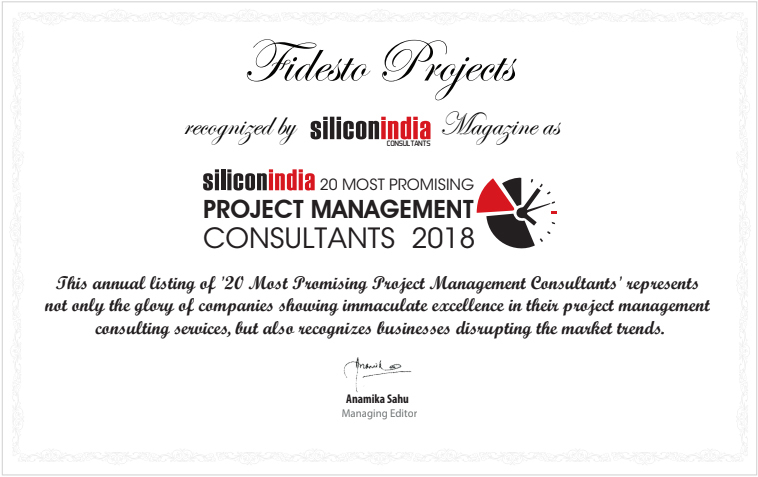 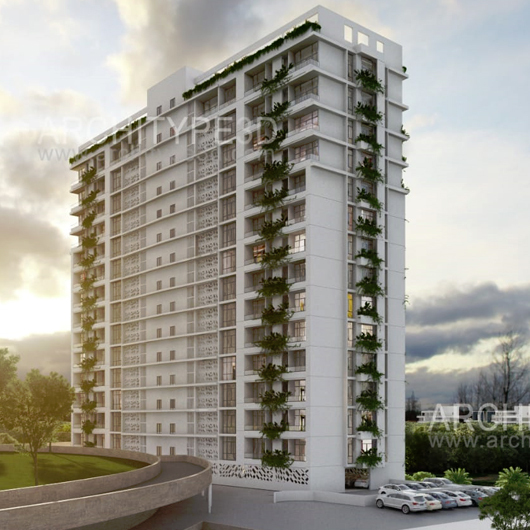 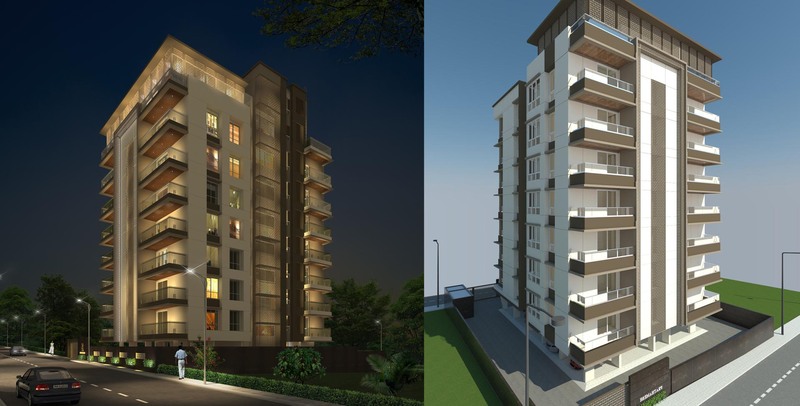 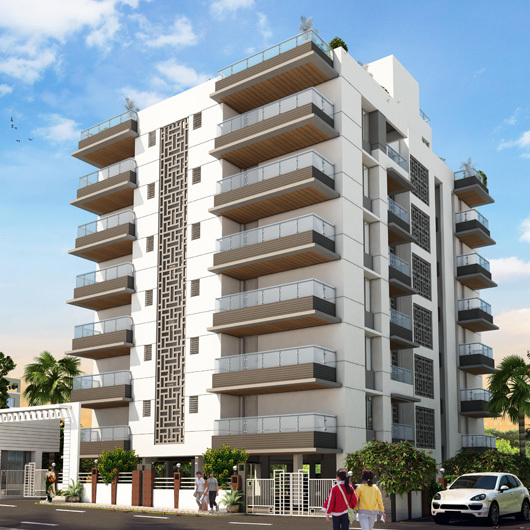 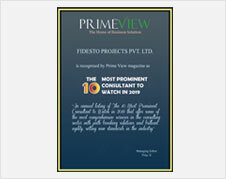 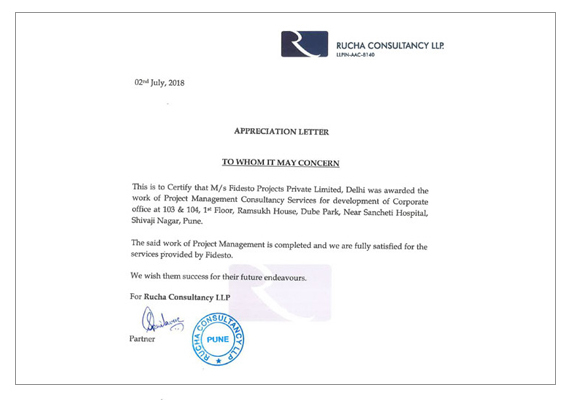 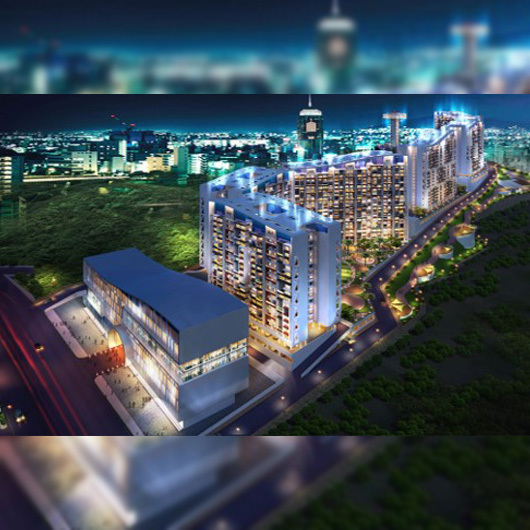 Fidesto Projects Private Limited is a professional Project Management Company with a 3600 vision and approach towards Project Management with the motive to serve their esteemed Clients for their Projects. 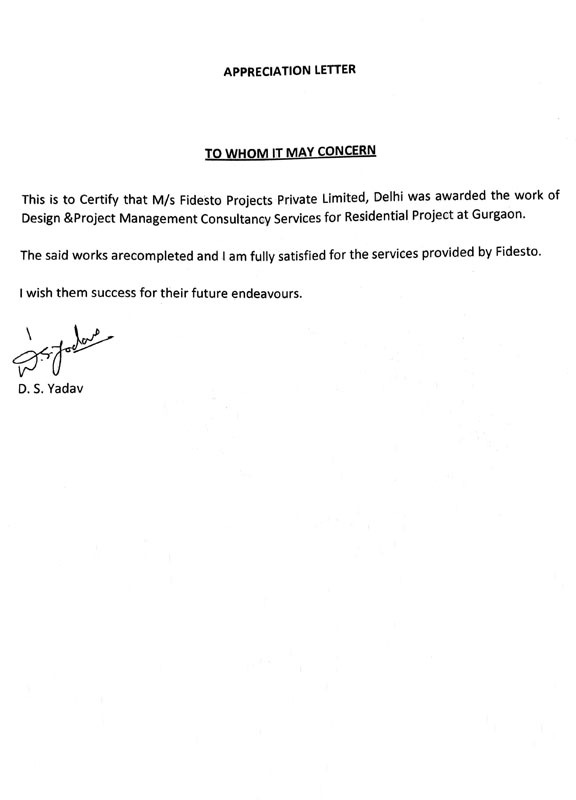 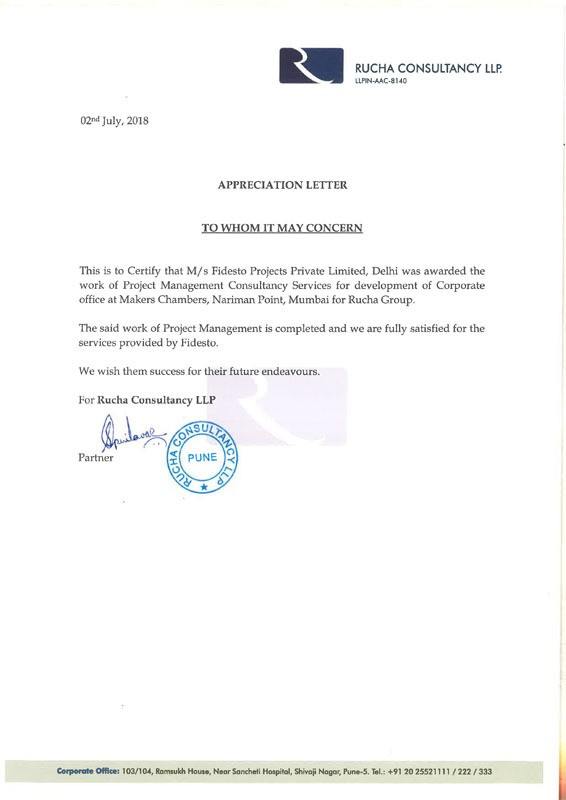 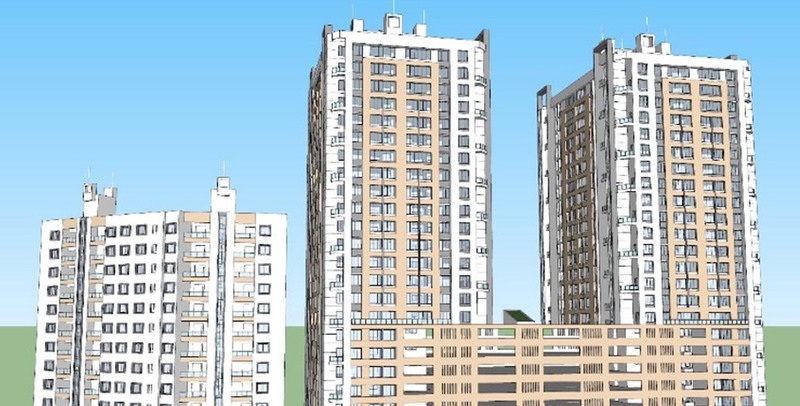 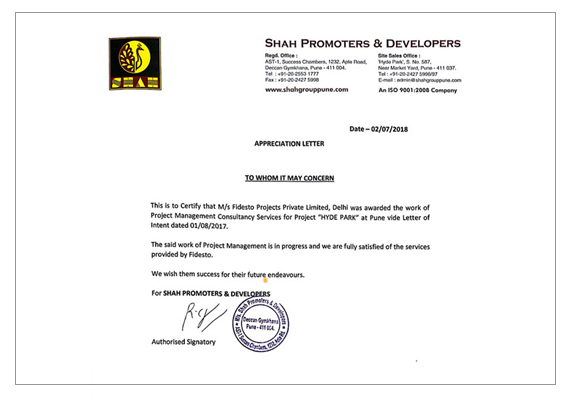 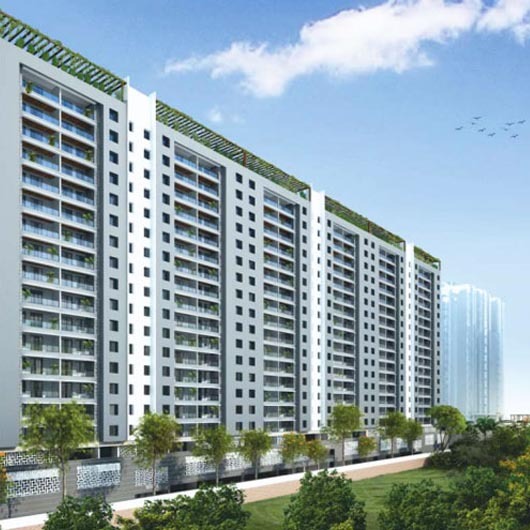 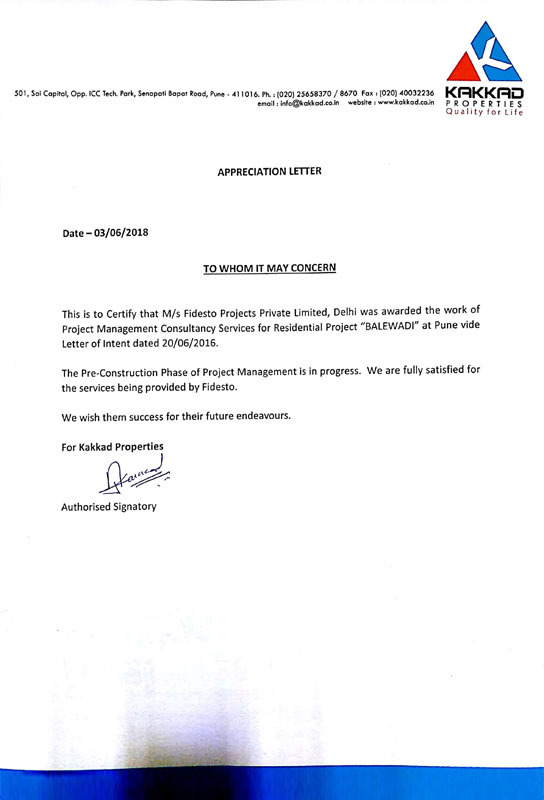 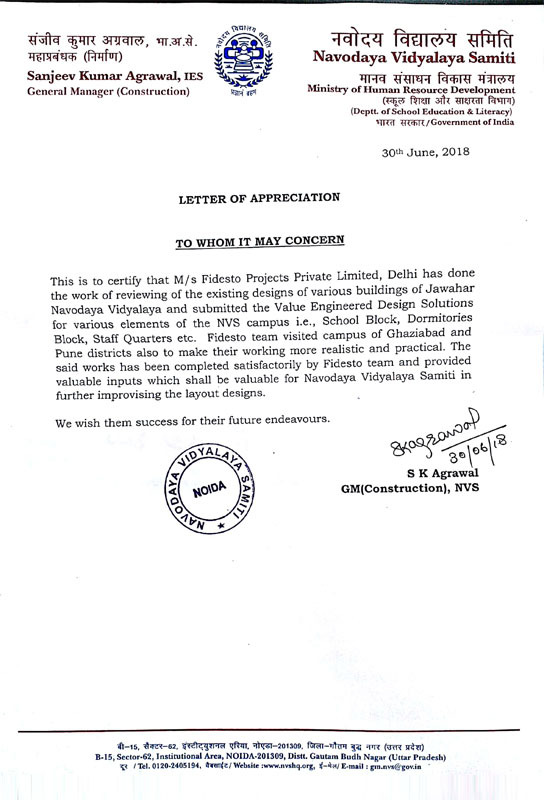 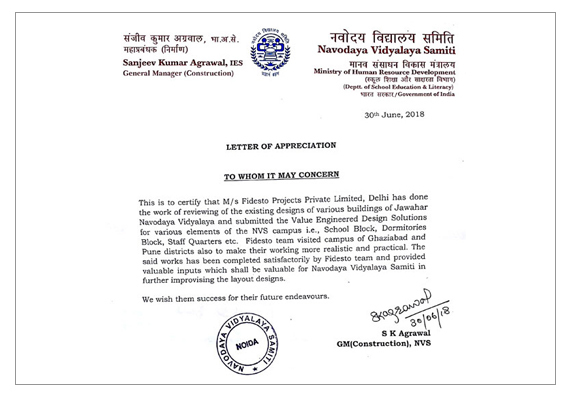 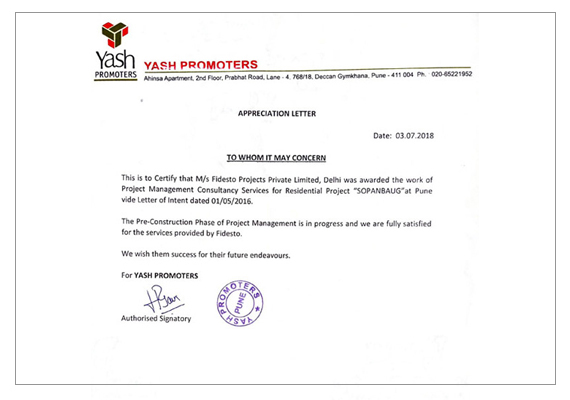 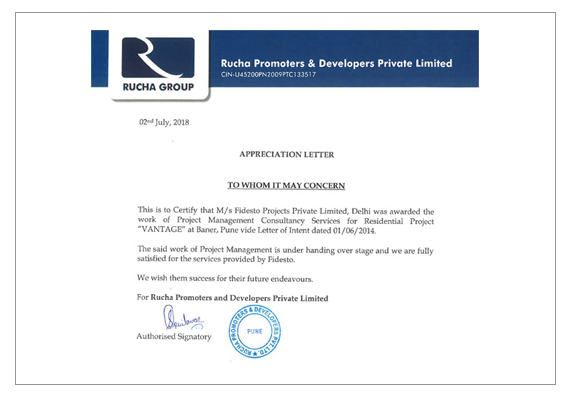 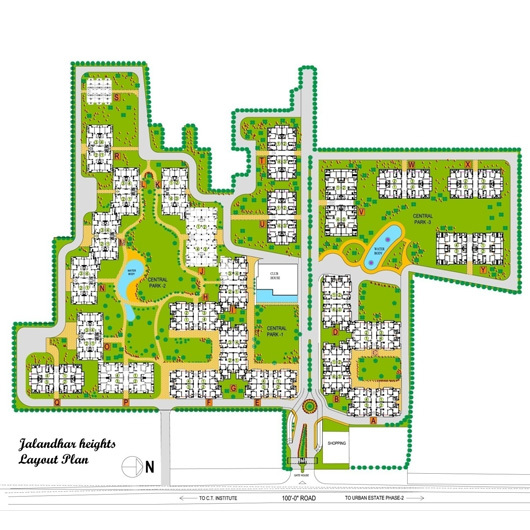 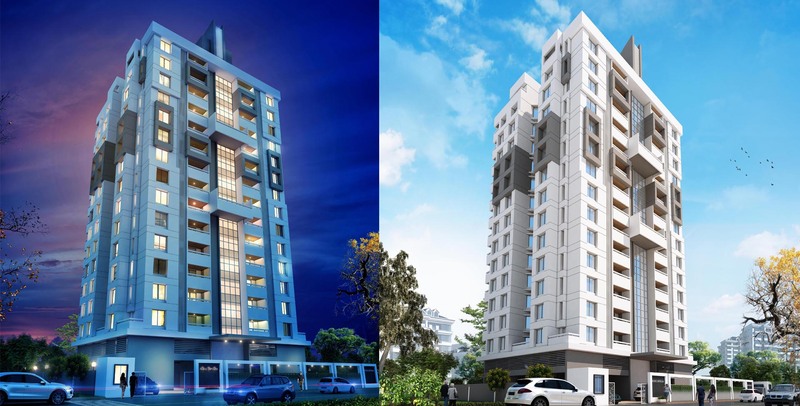 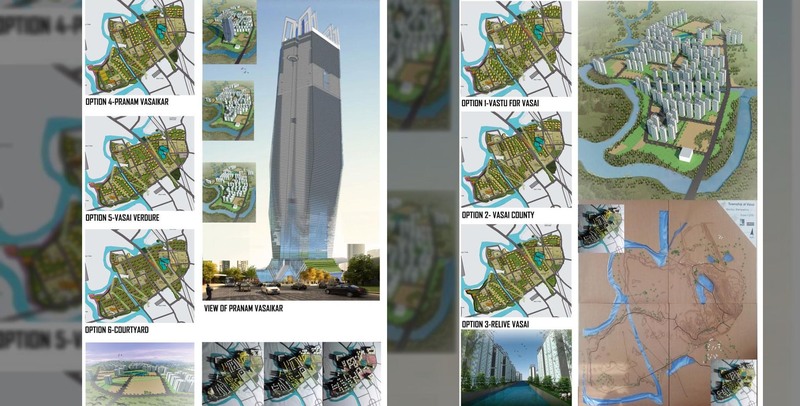 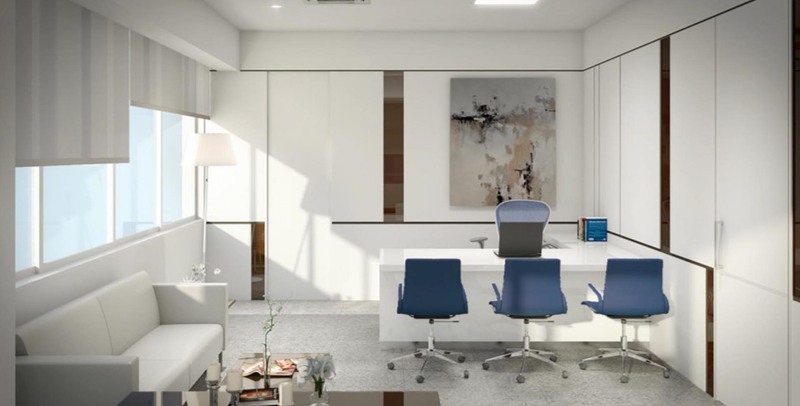 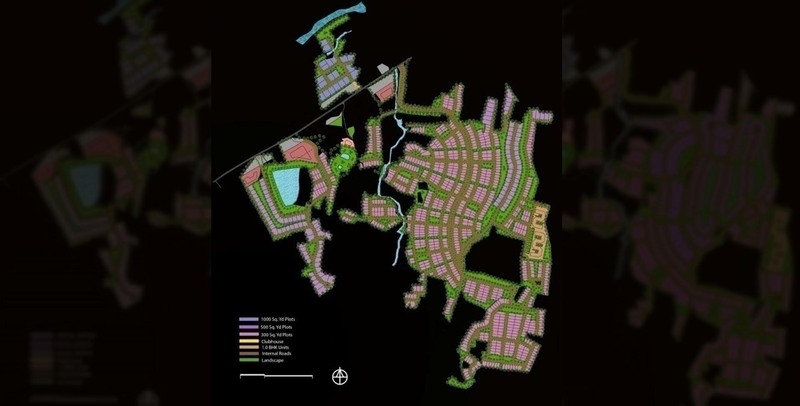 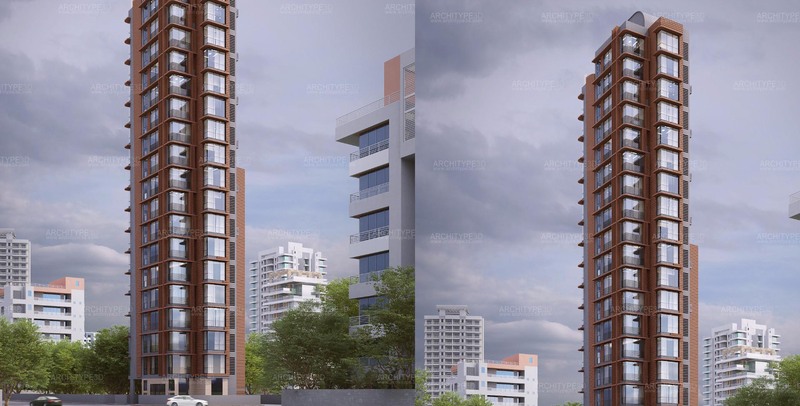 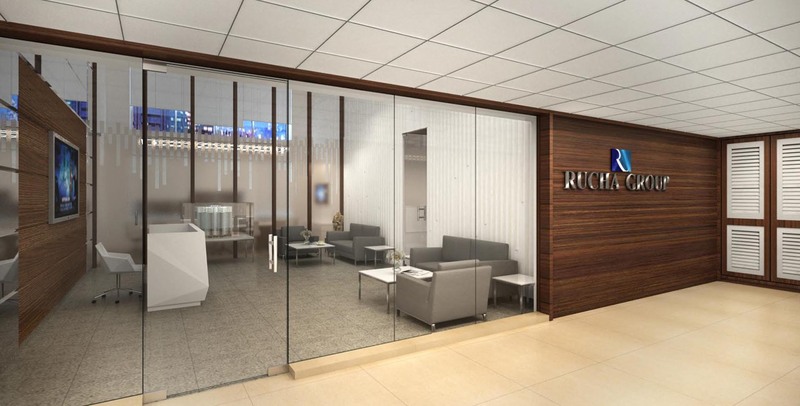 Fidesto Projects Private Limited is registered with Registrar of Companies having its Registered office at Delhi, Corporate Office at Ghaziabad and Site Offices located at Pune. 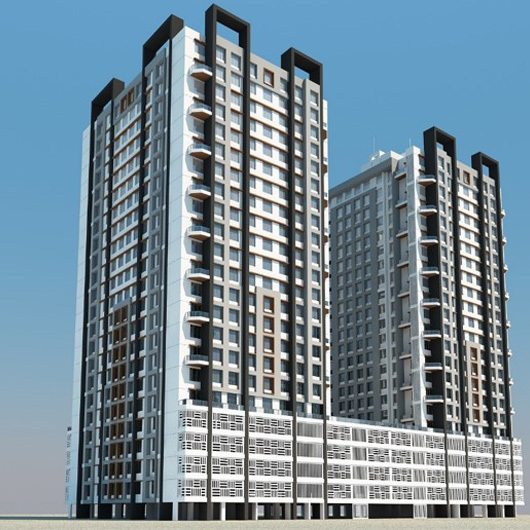 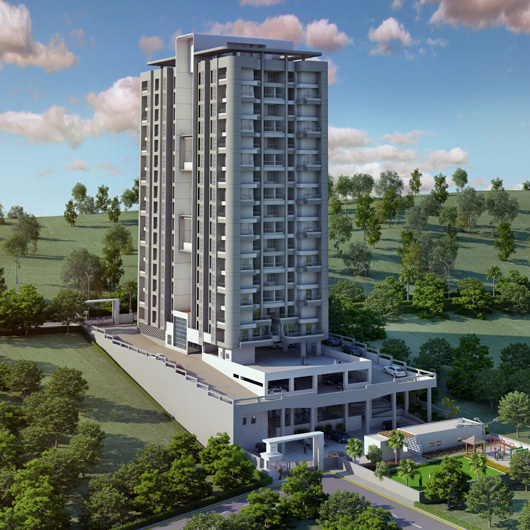 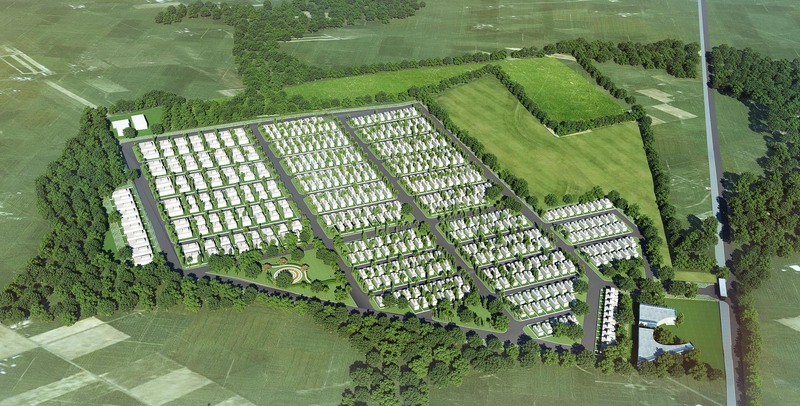 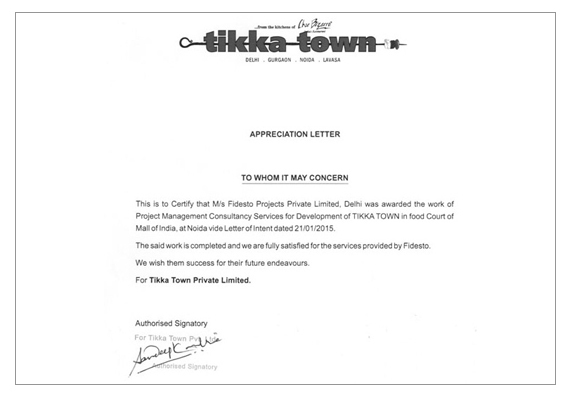 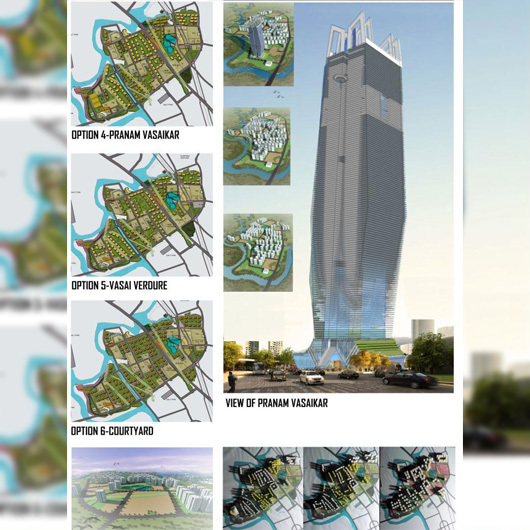 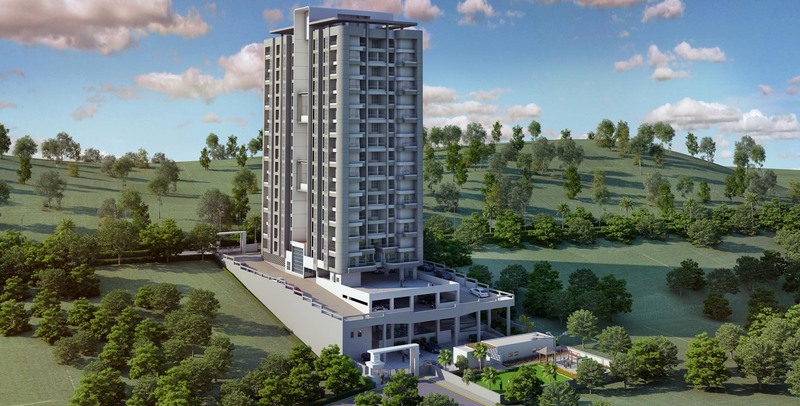 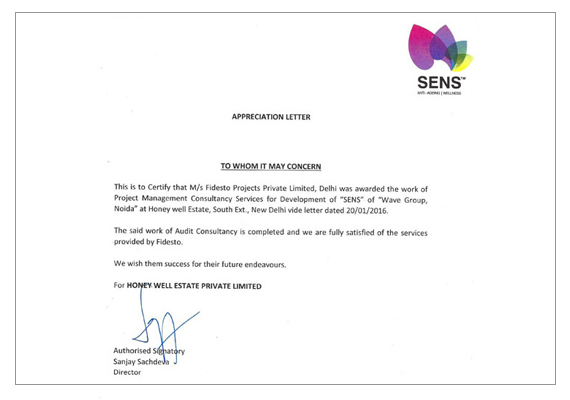 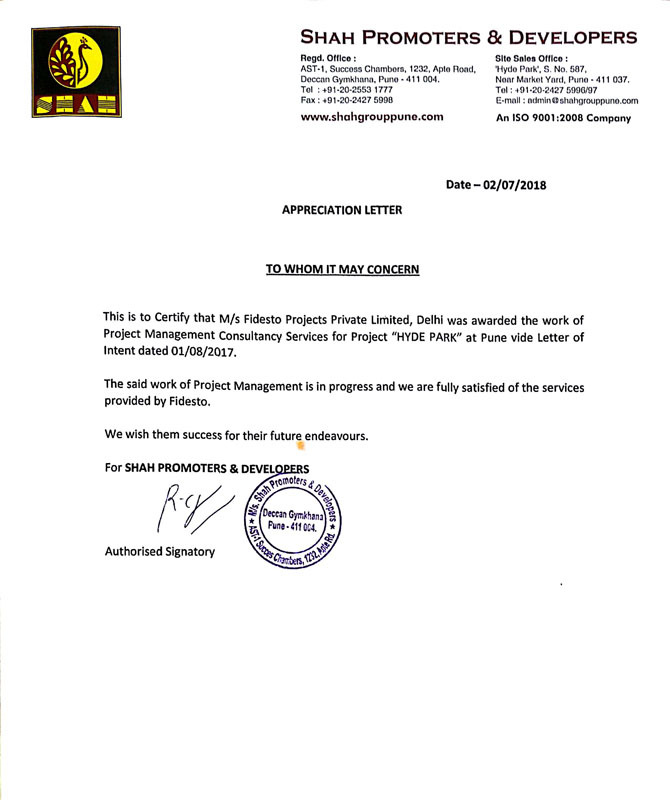 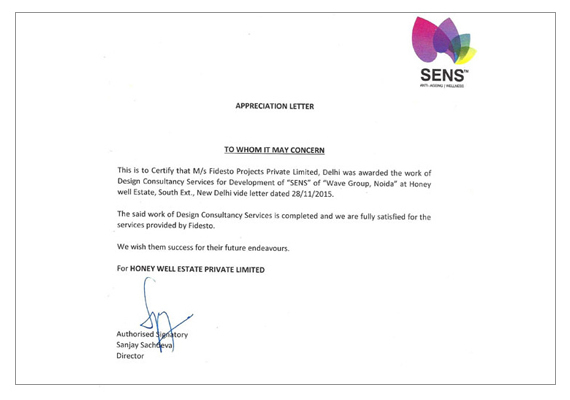 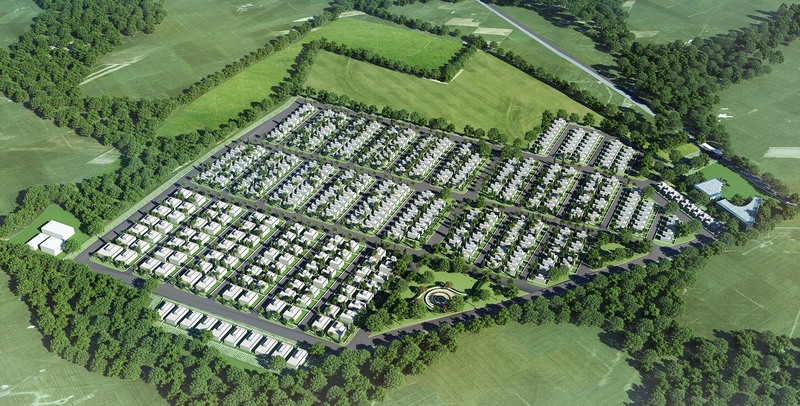 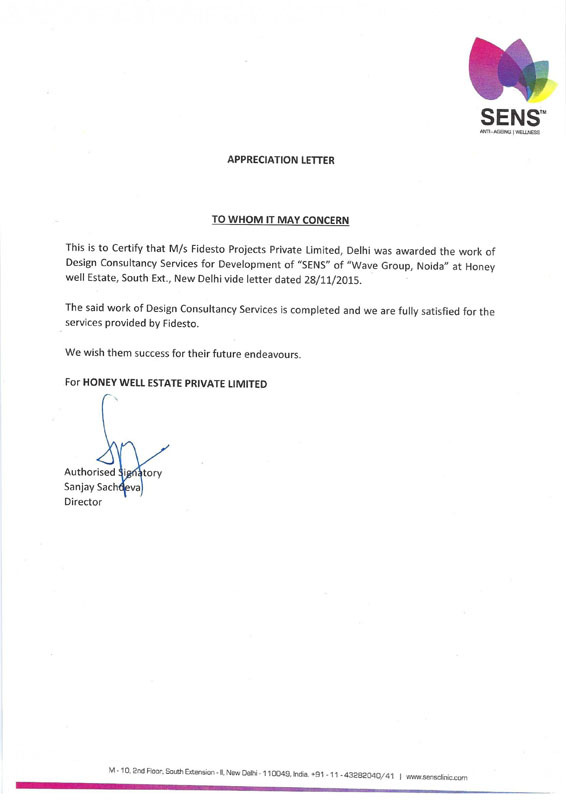 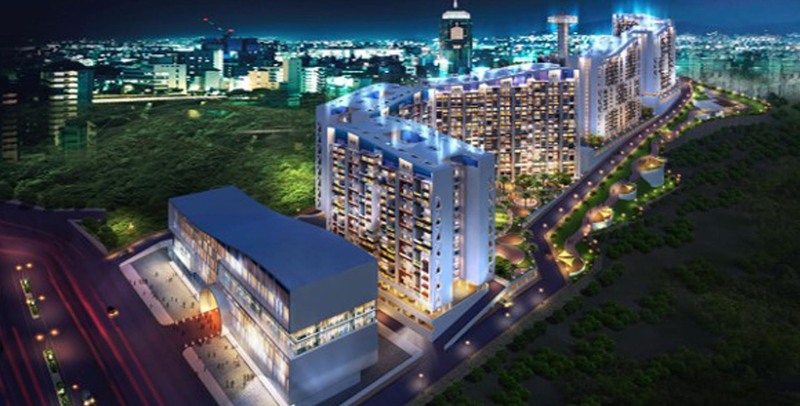 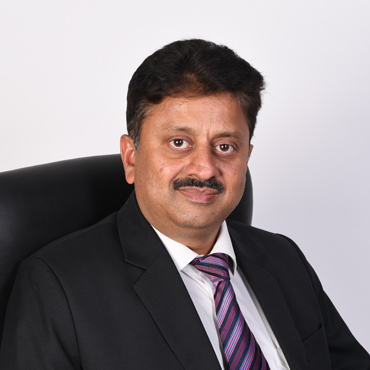 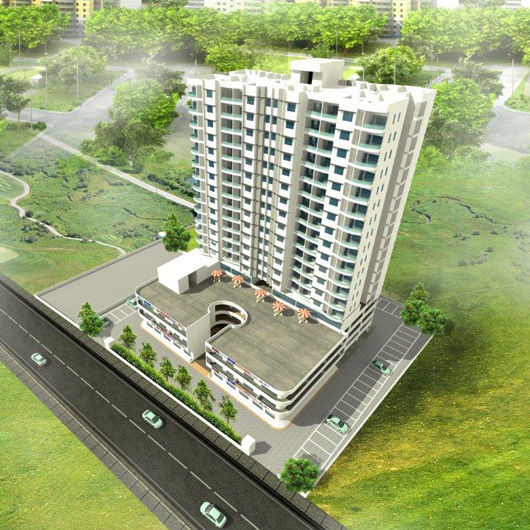 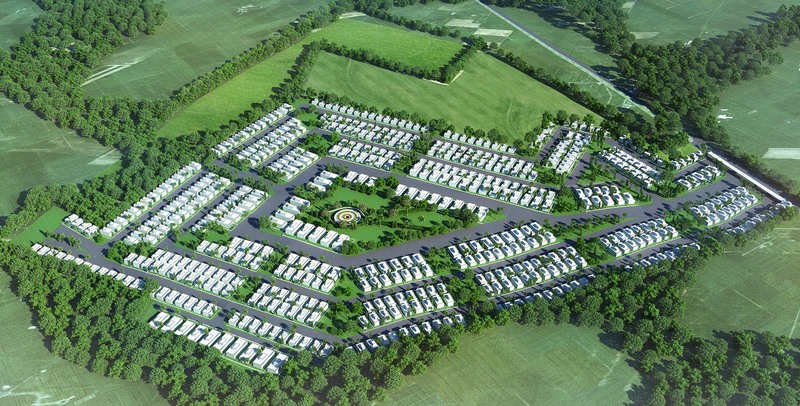 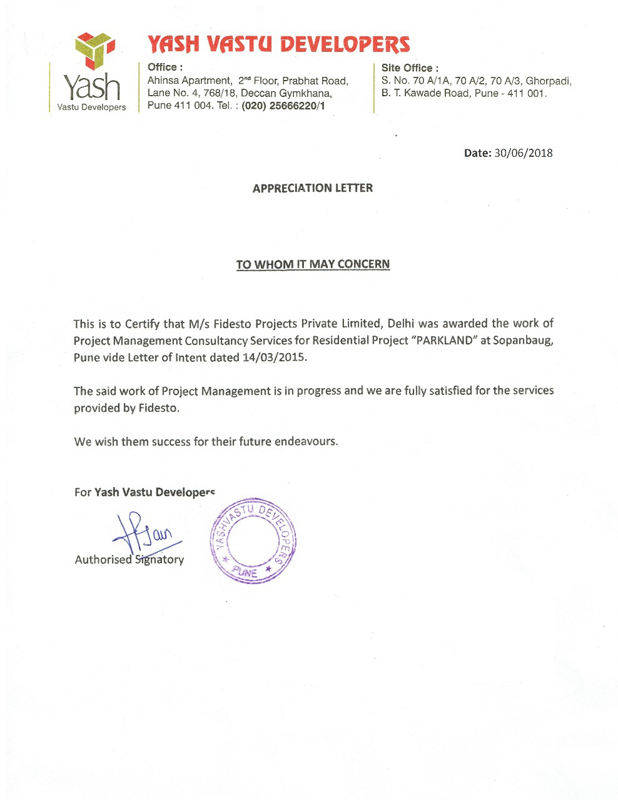 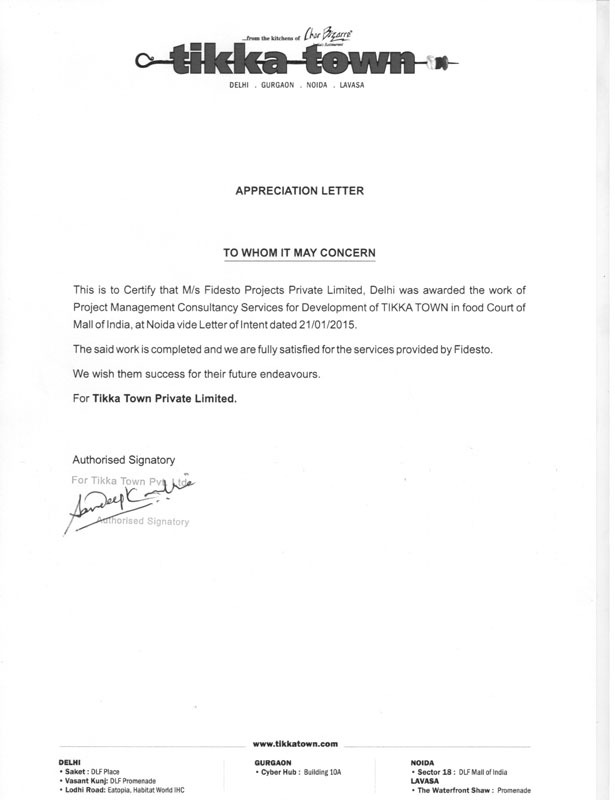 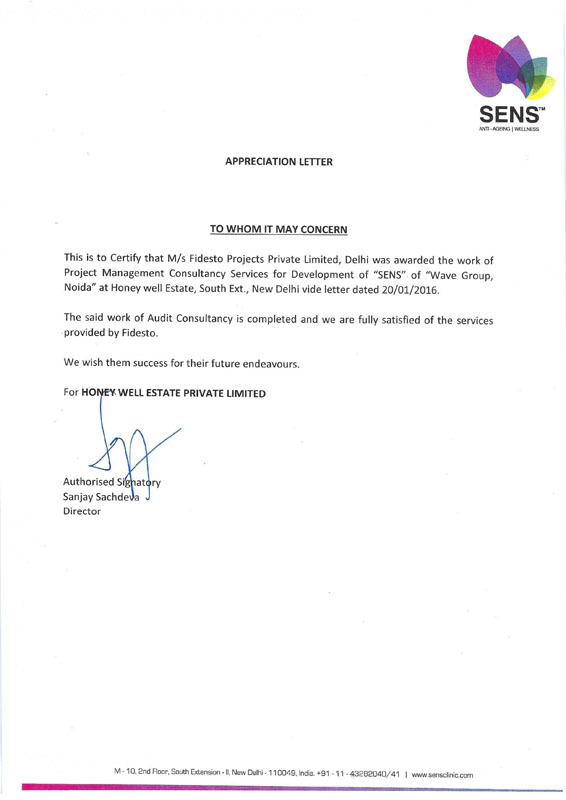 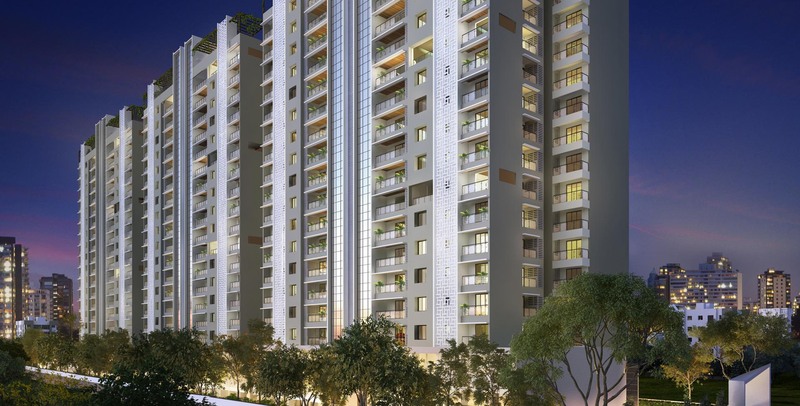 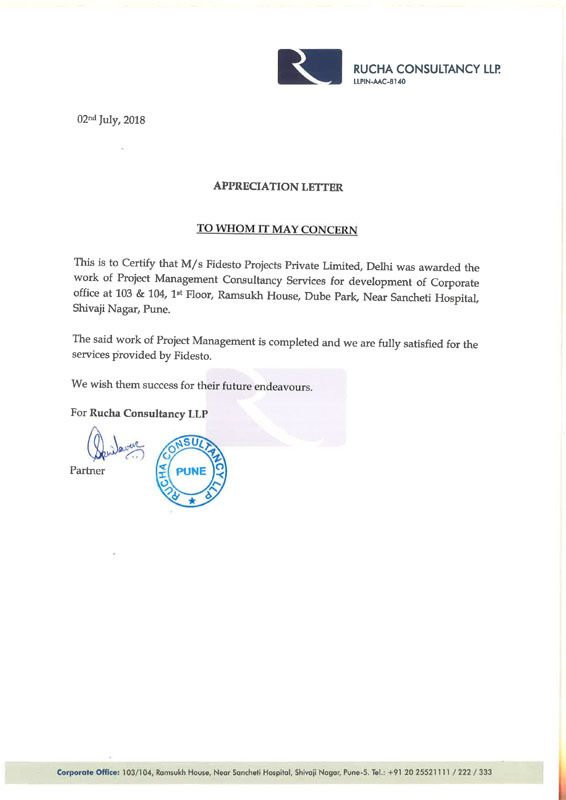 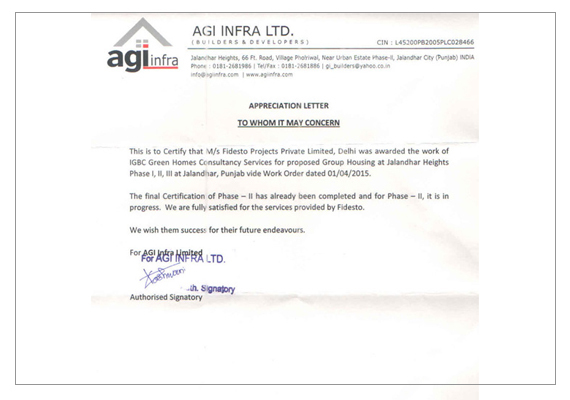 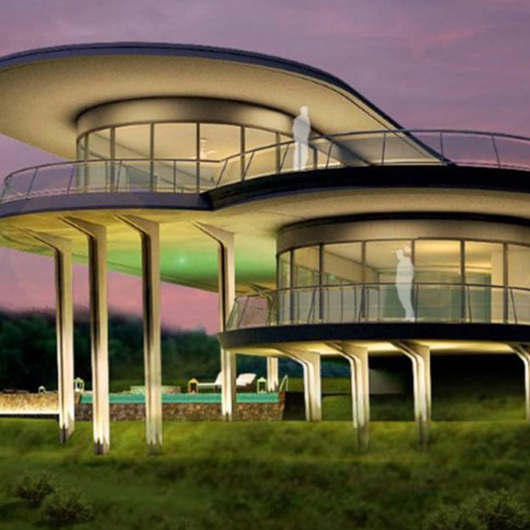 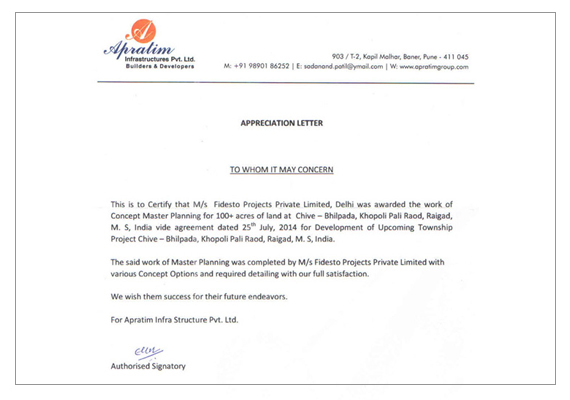 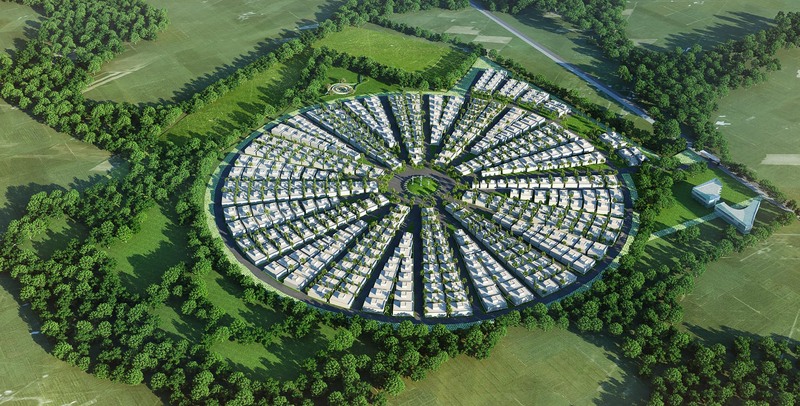 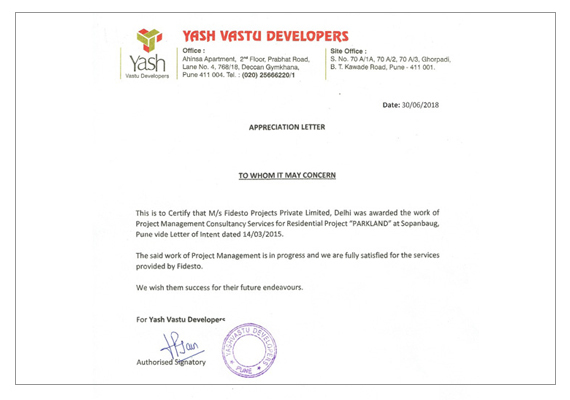 Fidesto Turnkey Projects LLP is registered with Registrar of Companies having its Registered office at Pune. 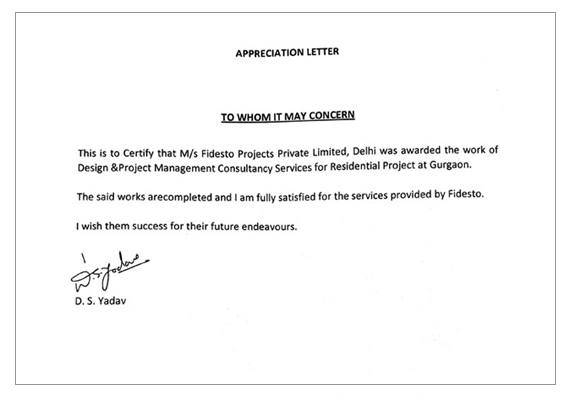 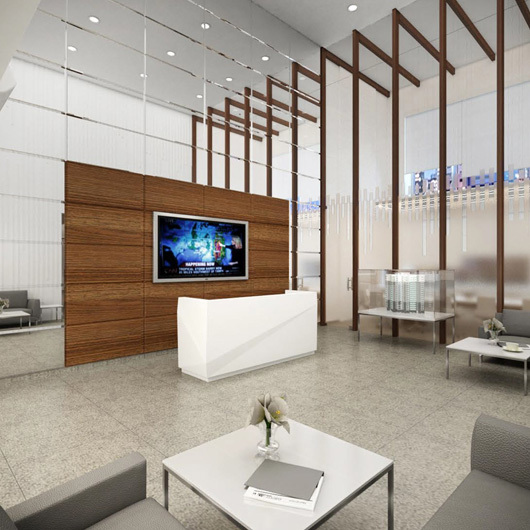 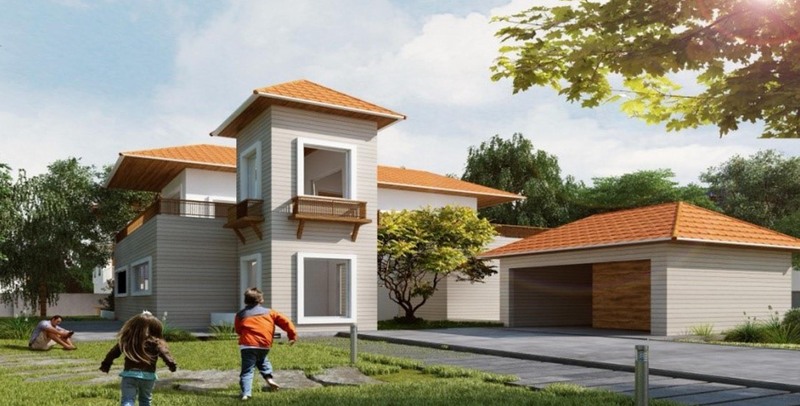 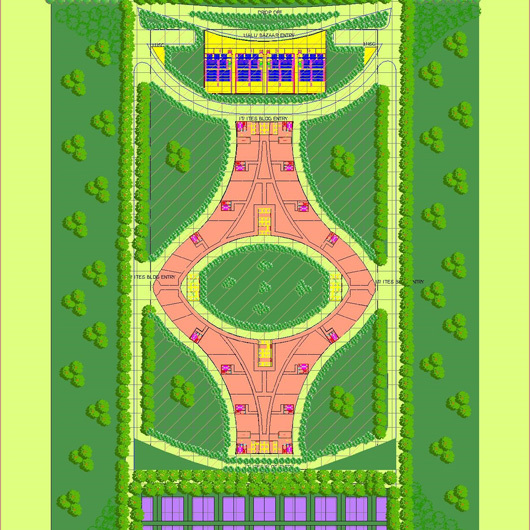 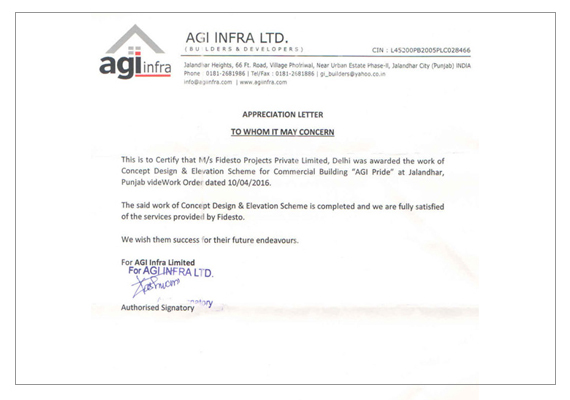 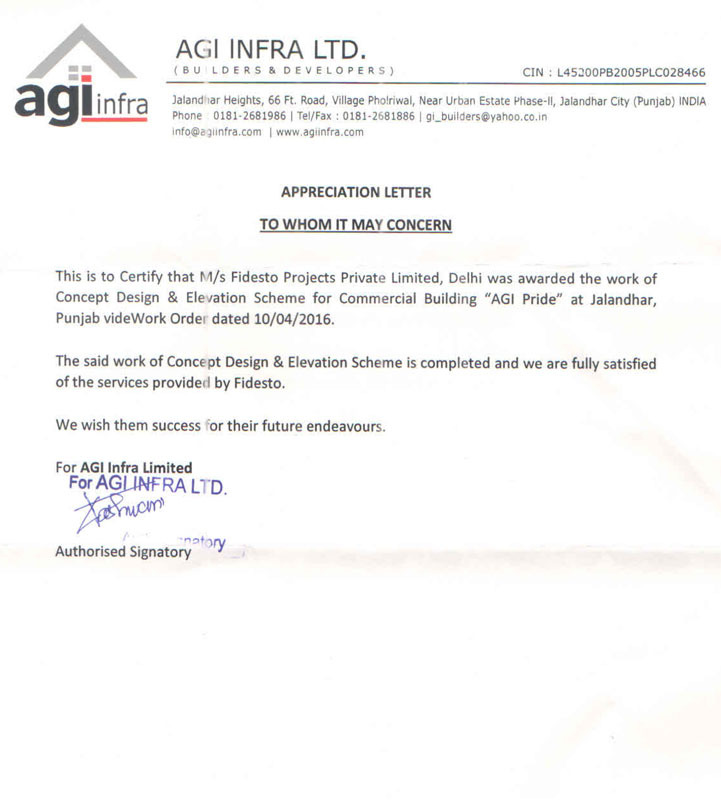 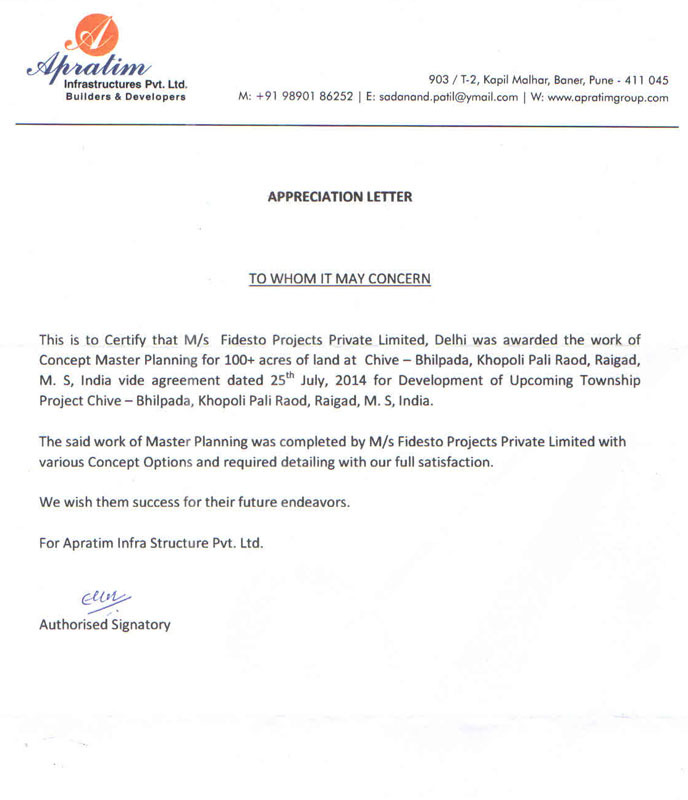 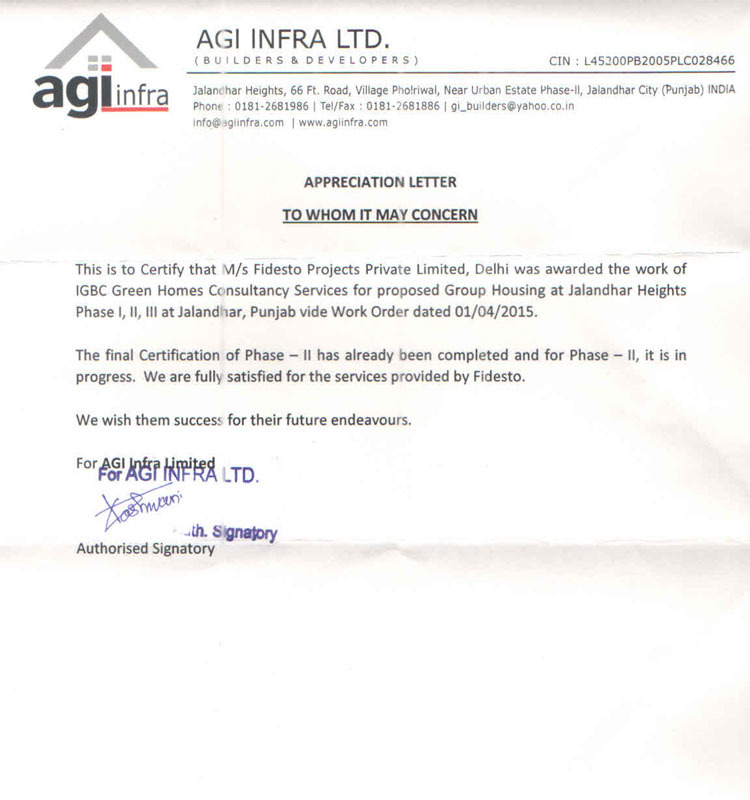 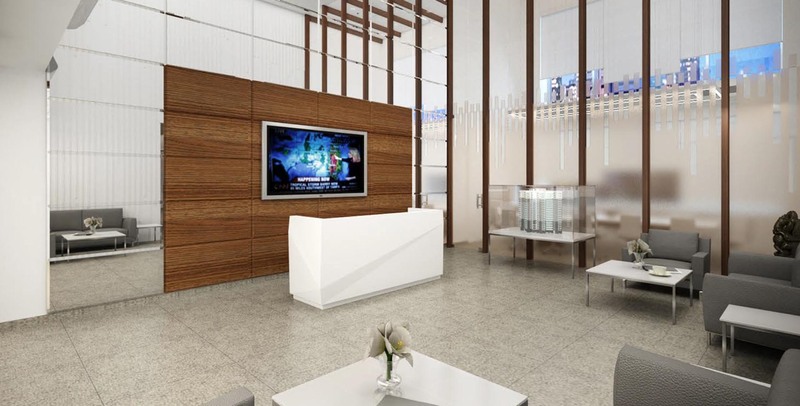 Fidesto work with our respected Clients from Pre-Construction till Post Construction Stage.